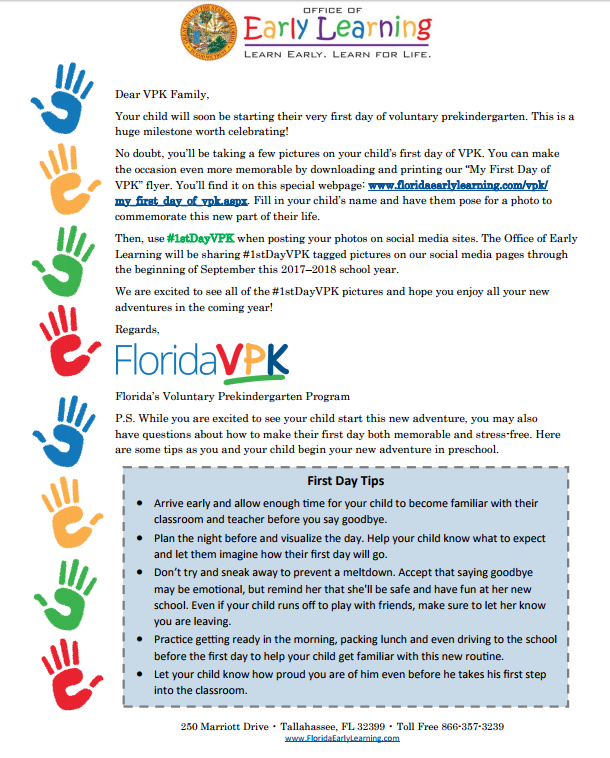 It’s the #1stDayVPK lets celebrate! The Early Learning Coalition of Lake county would like to wish all the families and VPK providers a wonderful first day of a year full of adventures and memories of learning and growing! 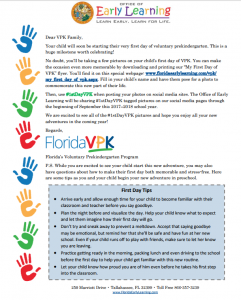 To start this new year off right please share your first day of VPK with us by posting your first day of VPK on Social Media using #1stDayVPK. Also, be sure to tag the Early Learning Coalition of Lake County so we can celebrate with you! Please visit the links below for more information. We look forward to seeing all the smiling faces as they begin this milestone worth sharing!